The new manifold design and embedded control provides an ultra-stable environment for pressure and temperature measurements. 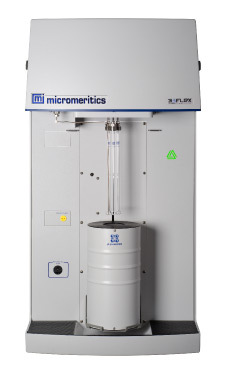 In addition to hardware advancements, the 3Flex contains several software advancements including a new advanced dosing method that allows you to mix both pressure and volume increments. 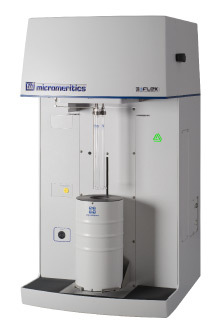 The 3Flex includes an extensive library of fluid properties of fixed gases and commonly used vapors. 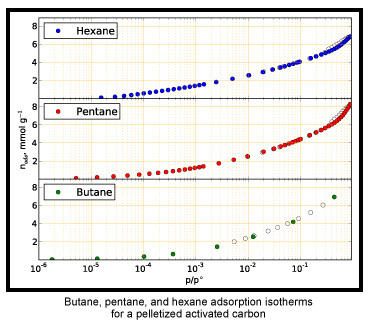 Isotherm data are easily collected using hydrocarbons as the adsorptive. Interaction with adsorption data is direct. By simply moving the calculation bars, the user is immediately updated with new textual properties. Click-and-drag bars slide to select the calculation range, minimizing the use of dialog boxes and tunneling of dialogs to specify calculation parameters. Improved ability to overlay files (up to 25), including mercury intrusion data with a file add-and-subtract feature. Report Options editor allows you to define reports with on-screen previews. Includes Python programmable language for user defined reports with on-screen previews.